A small Gaiwan embodies a small world, which contains the truth told by ancient philosophers “Sky covers it, earth carries it, and man nurtures it”. This article is going to show you several Chinese home-dishes with steps of making for you to take advantage of tangerine pu-erh teatangerine peel’s potential benefits. If you are interested, you can try some of them for yourself at home. Some people are curious about the making process of this interesting and delicious tea. Therefore, TeaVivre has specifically inquired Mr. Yang, the tea maker, about how to make Xinhui Green Mandarin Orange Ripened Pu-erh Tea. 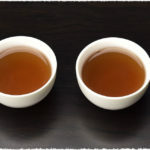 As the traditional form of Pu-erh tea, cake Pu-erh, brick Pu-erh and Tuocha all take a lot of twists and turns before we drink them at the first time. So how can we loosen and pry Pu-erh Tea in a proper way? Stir Fish Fillets with Long Jing Leaves belongs to Zhejiang cuisine, and the main ingredients are fish and Long Jing tea. Fish can be mandarin fish, black carp, Asian carp and other fish. Tea tray plays a role of yes man in all tea sets with cultivation and generous-heart, who is willing to be a supporting player, but it’s indispensable. Tea tray works as a stage for teapot, cups and pitcher coming on board to present a dramatic play with tea perfume overflowing. As long as the tea tray placed, you may feel you are in a vast world, away from all busy and noisy trifles. Here are a few common tea trays with different materials. 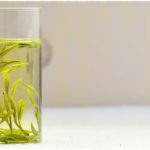 Which Types of Tea are Suitable for Boiling? Boiling tea can not only better show the taste of tea but also improve the antioxidant content of tea. 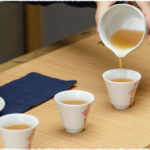 So, to know which kind of tea is suitable for boiling and to learn the required boiling method can enable us to better experience the fun of boiling tea.